The Sheaffer Stars of Egypt Limited Edition collection is a true artistic masterpiece! Limited to only 360 Fountain Pens worldwide, each Sheaffer Stars of Egypt Limited Edition Collection writing instrument is meticulously crafted in solid Sterling Silver and intricately engraved in Italy. The design is further complemented by highly polished midnight blue accents and a palladium plate clip. The Fountain Pen features Sheaffers exclusive Inlaid Nib in palladium-plated 18 karat gold. 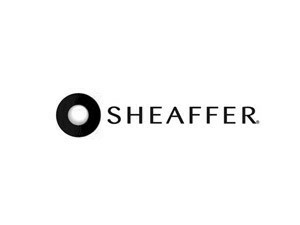 Each instrument is individually numbered on the traditional Sheaffer wide band and bears a large Sheaffer White Dot, a renowned symbol of quality and excellence. Through the Sheaffer Stars of Egypt Limited Edition Collection, Sheaffer Pen is proud to pay tribute to the Ancient Egyptians, their fascinating culture, their contributions to the world and to defining the written language. This finely crafted, one-of-a kind collection of fine writing instruments is, truly, 5,000 years in the making. It is destined to be a treasure for the ages. The pen comes with a beautiful wood gift box for storage. Each pen in the edition is individually numbered and is packaged in a beautiful, glossy wood gift box. Also packaged inside the gift box is a custom, hand-made blue glass inkwell, a polishing cloth, and blue and black ink cartridges.